Sweet black Jesus! We thank you for the creation of Will Smith, he’s such a fine black male celebrity specimen that even this tiny picture will do. 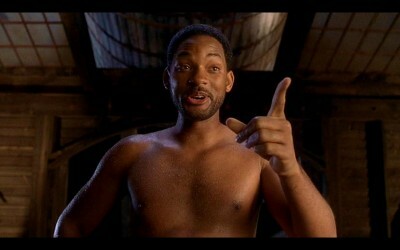 Will Smith- Shirtless and Buff! The rapid-fire release of Will Smith action flicks seems to have slowed a little bit. At this point he’s only got Monster Hunter scheduled for 2010.